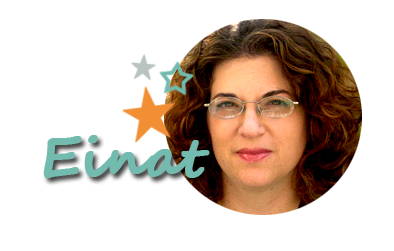 This is the easiest fastest project ever and it can fit any holiday or occasion if you just change the colors. I made it green so it'll fit a christmas table, but it can easily be in any other color for an anniversary, New year's Eve or even Valentine's Day. To create this napkin holder align a few 1" Faux Quilting stamps in a row and stamp a piece of white cardstock. You can also alternate colors and stamp each square with a different color. That look will be great for a New Year's Eve party for example. 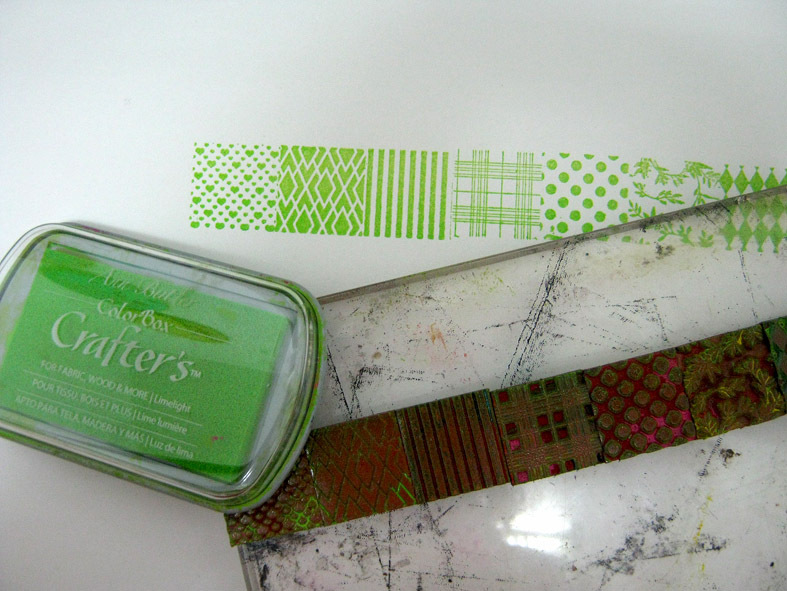 Then cut the strip of paper around the stamped area. Punch two butterflies or any other shape you want or that fits your event. 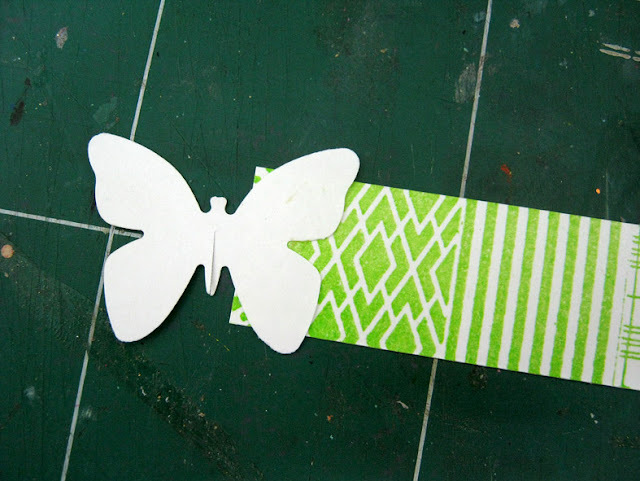 On the first butterfly, create a cut in the center of the butterfly going from the bottom only until the middle of the butterfly. On the other butterfly start the cut from the top going all the way to the middle of the butterfly's body. Attach each butterfly to the edge of the strip. 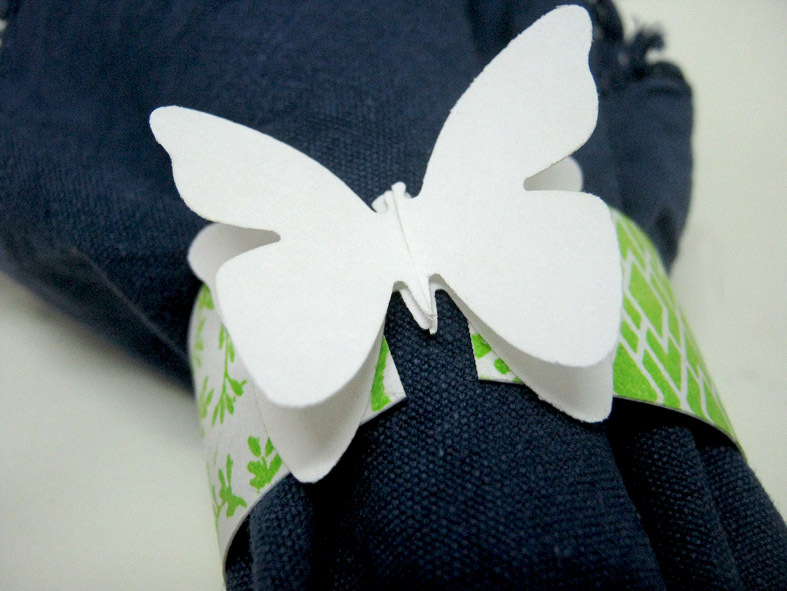 To close the napkin holder simply attach the butterflies together by inserting each butterfly to the other butterfly's slit. This project is so easy and quick you can create an entire set for any dinner or party.